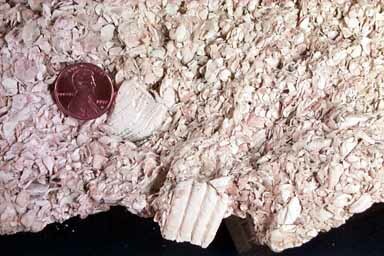 Shell debris, sometimes whole; typically broken and wave washed. In this closeup we can see in the two larger pieces the evidence of clam shells. Everything else is badly broken and abraded, although well sorted to size.